The truth is that everyone could use more money. Whether you are looking to have some fun, take a trip, or you have encountered serious unexpected expenses, having more money can make things much easier for you. You work hard and do anything humanly possible, but in some instances, a bit of magic goes a long way. Consider the following 3 rituals to bring money to you. The spell depends on the fact that people with money have a tendency to keep it. This can be a great drawing ritual, but you should not forget that it can work somewhat slowly since it is cold. It is a good option if you have something that you would like to save money for. The idea is that after you earn the money that you draw in, you can keep it until when you are ready to spend it. For the ritual, a handkerchief is required in any color although green or black works best. Once it is dark, you should turn off the lights then spread out your handkerchief in a pool of moonlight. In case there is no moonlight, you can use the light from an outside street lamp. What you should be looking for is light associated with the night as opposed to the day. Drop some pinches of dried calendula into your handkerchief. The dried calendula is yellow like gold. Next, add some silver coins, dimes, quarters, or nickels. Tie all the ingredients together in your handkerchief and knot it properly to ensure that none of the contents fall out easily. Tightly hold the knotted fabric in your hands then announce your intentions for saving money out loud. State that you would like the money to remain in your pocket and nobody else’s and that you will be keeping it safe. Once you are done, put the bundle into your freezer and ensure that you put it all the way to the back. Avoid untying it until you have all the money you need. You may need money fast in some instances due to unexpected expenses or unforeseen circumstances. The ritual is most suitable for you if you are currently in a situation where you need money urgently. The first thing to do is light a Big Al Big Money candle then place a small dish in front of you. 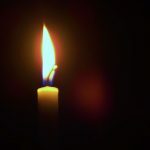 Once the candle starts to burn, start talking quickly about the reasons why you require the money as well as how you plan to acquire it. It is a great approach to build your confidence before heading into an important event and it can help to get the right kind of energy going. Drop a pinch of cayenne pepper, a cinnamon stick, and a pinch of devil’s shoestring into the dish in front of you then add a few drops of Quick Money Oil into the mix. 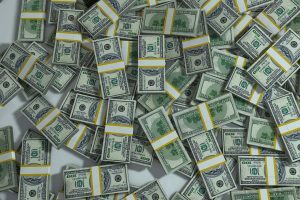 Talk about how much you are in need of the money, how soon you need the money, and what you plan to do with it once you get it. Sit and concentrate holding the thought in your head. Allow it to consume you. Wait until the candle burns down at les half an inch or more then blow it out and get up decisively. Next, do something associated with making the money you urgently need, whether it is doing some paperwork or wearing your work clothes. Once you do this, you can now clean up. It is a hot drawing ritual and relies on action. Sometimes, all you need is a bit of extra money in general, and the spell makes you the focus of all your money luck. Wait until the day things are quiet and you are able to get the bathroom all to yourself for some time. Scrub your bathroom until it is sparkling clean then fill your tub with hot water. Ensure that the water is hot enough that you are able to comfortably sit in it. It is important for the water not to be too hot for you, so ensure that you keep it a bit cooler than you would otherwise do. Set the mood by lighting some of the Prosperity Incense. It is a great way for you to set the scene. Sprinkle some bayberry bark into the water. Bayberry is the ideal way for you to attract money and it also has a pleasant scent. Get into the water, and then simply take it easy. Sit in the water and allow the money luck from the bayberry to soak into your skin. 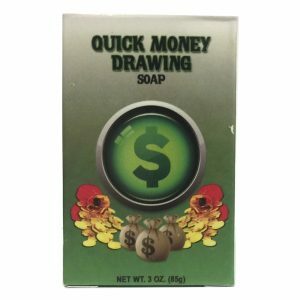 Once you are ready, use the Money Drawing Soap to start washing yourself. Get a decent lather, and genuinely believe that you are actually washing away old luck and ushering in the new. Drain the tub once you are ready then get yourself clean by showering under pleasantly warm water. Think about everything that you want and how money will make it possible. It is an amazing way to bring more money into your life. You might have money on your mind, but it does not necessarily mean that you have to be helpless. Get some supplies then see how fast you are able to draw money to you! Hi. I am one of your faithful followers. I’m always happy to take in your wisdom share…I have one question.what is Calendula.? Would like to try this.